Home Comparisons How Does the New Honda CB 300R Fare Against Its Rivals In India? How Does the New Honda CB 300R Fare Against Its Rivals In India? 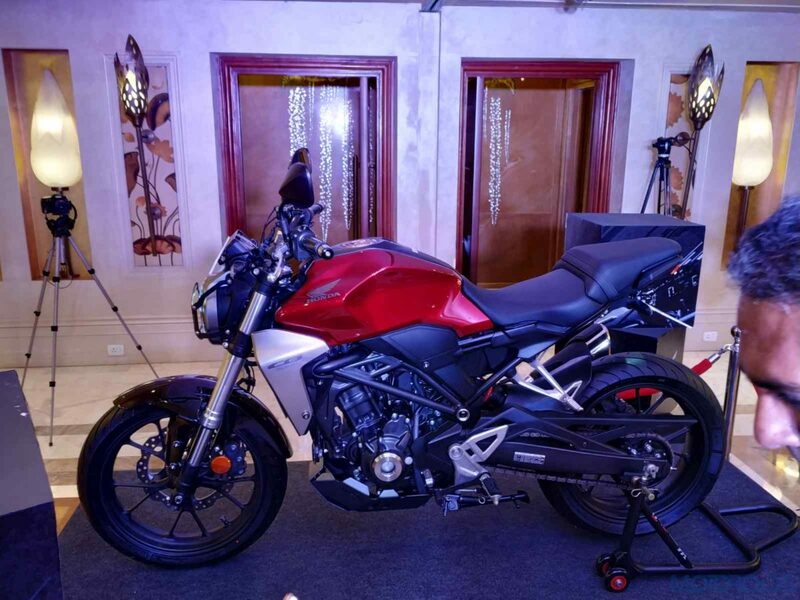 Honda’s new launch, the CB 300R was launched yesterday at a pan-India ex-showroom price of INR 2.41 Lakh. 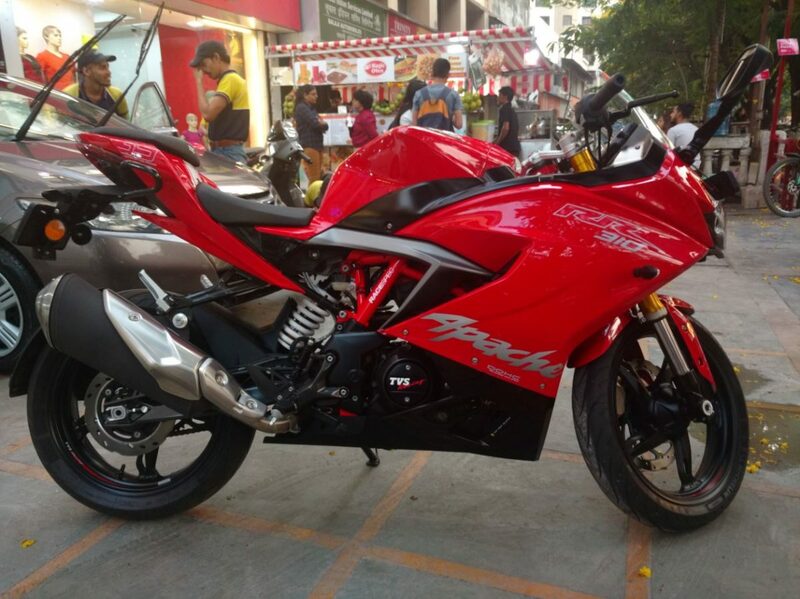 With what the bike is offering, in terms of power, it slots itself in the territory of the Bajaj Dominar, the TVS Apache RR 310 and the KTM Duke 250. 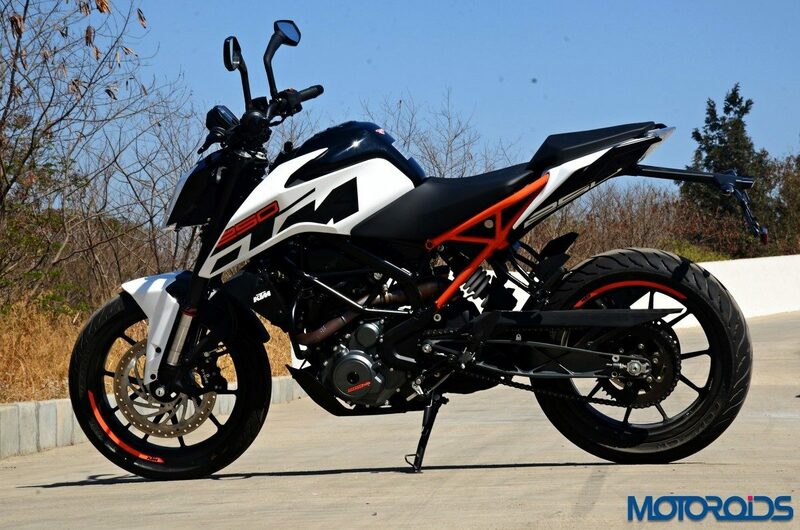 The pricing places it close to the KTM Duke 390, however, head-to-head, the orange bike is way more powerful and better equipped. Read ahead for a spec to spec comparison of these machines, which could help you decide which bike would suit your needs better but first, let us have a look at the ex-showroom prices of these machines. Coming to the first difference, the visuals. The Honda offers a uniquely designed package, called the neo sports café, which makes it appear unlike anything else on the road. That said, the Duke is quite a looker with its mean angles and upright stance. On the other hand, with its part naked, part sports-tourer appearance, the Dominar too is unique for the way it looks. The Apache RR 310 with its wind-cheating bodywork is probably the best looker here, but looks are subjective and the rest of them are naked motorcycles anyways. All bikes get a digital display providing a tonne of information like your gear, the time to shift, and much more. Coming to the powerplants these bikes are equipped with, which in all 4 of the bikes are single cylinder units. The Dominar is the winner in terms of power but also is the heaviest machine, have a look at the numbers. The Honda is the lightest vehicle in the segment and offers the best torque to weight ratio. The Duke and the Apache, on the other hand, strike a balance between power and weight and stand in the middle of these two bikes in terms of weight. The Honda CB300 is built around a diamond-type frame, whereas the KTM Duke 250 and the Apache RR 310 are based on a more go-fast friendly trellis-type architecture. The Bajaj Dominar 400 is the only bike here to be based on a perimeter frame, which is typically the architecture used for high-capacity motorcycles. Moving further, let us talk about the suspension and brake setup of the two bikes. A major differentiating factor between the Honda and the KTM over here is the fact that the Austrian bike comes with a WP suspension setup. The Honda, on the other hand, offers a better IMU controlled ABS system. The Dominar (to be updated with USD forks soon) too offers conventional forks up front but offers dual-channel ABS as standard, which the Duke misses out on. The Dominar also happens to be due for a facelift which will add a USD setup and radially mounted callipers when it comes out. The Apache RR 310 comes fitted with a sorted suspension system which works really well on the road and is ready for the track too. In terms of features, the KTM Duke 250 is the only motorcycle here to come fitted with a conventional halogen headlamp, whereas all others get full-LED illumination. All the bikes feature fully-digital instrument clusters though. 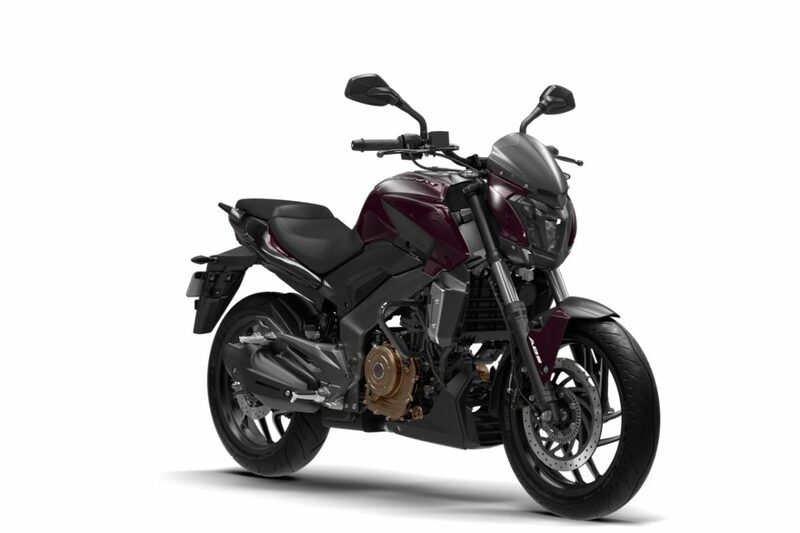 The CB 300R comes with a 10-litre fuel tank, while the Apache, Duke and Dominar can take up 11-litres, 13.5-litres and 13-litres of petrol respectively. So here are the differentiating factors between these four, very well equipped bikes. It is very difficult to choose a winner out of these, as all 4 bikes offer a different experience to a rider and excel at what they were built for. The featherweight CB 300R sure stands a chance against these machines and is surely worth your attention. Stay tuned for a detailed review of this machine, coming out very soon.